For new customers – or past customers who we haven’t serviced within the last 3 years – the annual AC check-up program allows us to evaluate your AC system, provide minor maintenance, clean your primary drain pan and drain line, and give you notice of any potential issues which may require repair. Available to current customers only, this is our 100% Guaranteed Tune-Up and Cleaning Service. This service includes testing the operation of electrical relays, capacitors, contacts and motors, and a complete cleaning of the blower assembly, indoor coils and outdoor coils. For our busy customers who want hassle-free, reliable maintenance, our Annual Platinum Plan is the ideal solution. Our Caldeco Service Team will contact you when you are due for AC maintenance service. Members of this plan also receive a 15% discount on repairs, priority customer service scheduling, and waived overtime charges. In addition, your equipment will get our Precision Tune-Up twice a year, and your plan is transferable. For full details about any of our AC maintenance plans, please click here. 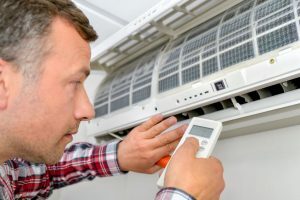 If you own a home or business in Brandon, Clearwater, New Tampa, Pebble Creek, Wesley Chapel or the nearby cities, contact our top-rated AC company today to schedule an AC maintenance or repair. Or, request more information about new AC system installations or any of our other top-quality services. We look forward to serving you!